V-Moda has unveiled a new couple of new additions to their range of products in the form of the new V-Moda Vamp Verza dockable headphone amp, and Metallo Case. The V-Moda Vamp Verza dockable headphone amp has been designed to provide the best audio experience possible and dock with certain Android and iOS devices via USB/micro-USB that converts the sound into analog form for the purest mobile audio listening experience possible. 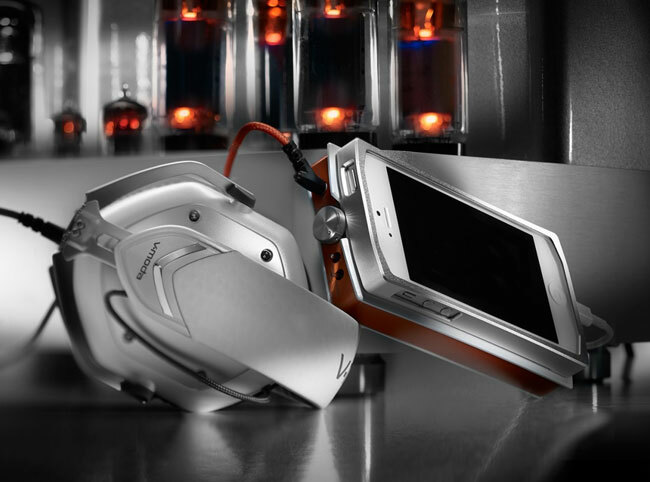 Watch the video after the jump to learn more about the V-Moda Vamp Verza and see it in action. The V-Moda Vamp Verza 150mW x 2 amplifier is much more powerful than smartphone amplifiers and provides users with up to 7 hours of continuous playback from a single charge. Together with low noise anti-interference designed by Burr Brown, AKM DAC and a 6-layer PCB, which can only found in hi-end digital players. The V-Moda Vamp Verza Dockable Headphone Amp is now available from the V-Moda website.